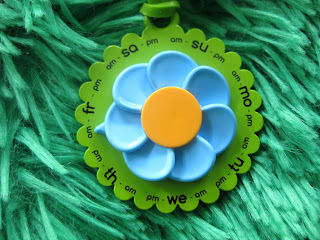 Home Humor Parenting Humor Parenting Tips Eepples Milk Charms- The new mother's timekeeper! Review & #Giveaway! 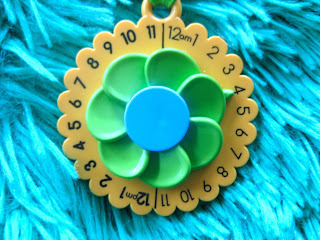 Eepples Milk Charms- The new mother's timekeeper! Review & #Giveaway! 100% recyclable and made with as much recycled material as the manufacturers can get their hands on! Remember when you were finished pumping or making your baby's bottles and then had to label them with the time and/or day they were made? Now, remember those ridiculous little circle stickers the bottle companies made to help with labeling- yes I am referring to those stupid little dots that would fall off the minute you stuck them on! I swear I had those stickers stuck to everything but the damn bottles. SO ANNOYING! The three milk charms are included in a pack for $15. with strong plastic stretchy loops that fit around most any bottle, cup, or container. While the revers side has the days of the week. or needs to be used! The elastic band stretches wide for easy use on almost any container. While these Milk Charms are great for all parents using bottles; these little flower power timekeepers are especially great for nursing mothers who pump some bottles to be left on the counter, some for the daycare and some for later. And speaking of later... I am using them now to put a time or day stamp on Oliver’s open Smoothies, and left over cold snacks, so the options are endless even into the toddler days. I'm sure it goes without saying, I definitely recommend these to new mother's. At $15 for a pack of three, you will definitely get your monies worth, especially since you have probably already spent $15 on those stupid dot stickers that don't stick! To order your pack of three now, CLICK HERE! 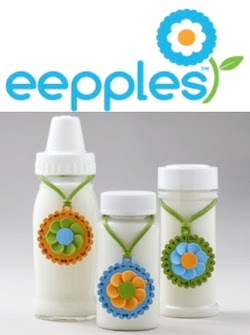 To win pack of three more Eepples Milk Charms sign up below!